REBELLION IN THE QUEEN CITY! At OMB, we love our local history almost as much as we enjoy brewing our premium local beer. 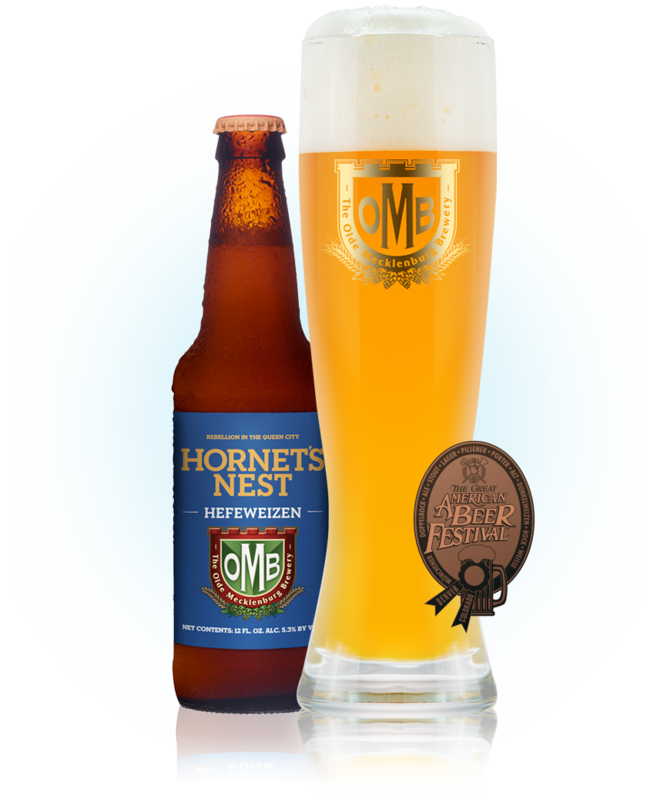 While most people think Hornet’s Nest is an ode to Charlotte’s basketball team, it’s actually the nickname England’s General Cornwallis gave Charlotte when he met more resistance here than anticipated during the Revolutionary War. Enjoy this opaque, subtly sweet hefeweizen and bronze GABF award-winner. Prost!